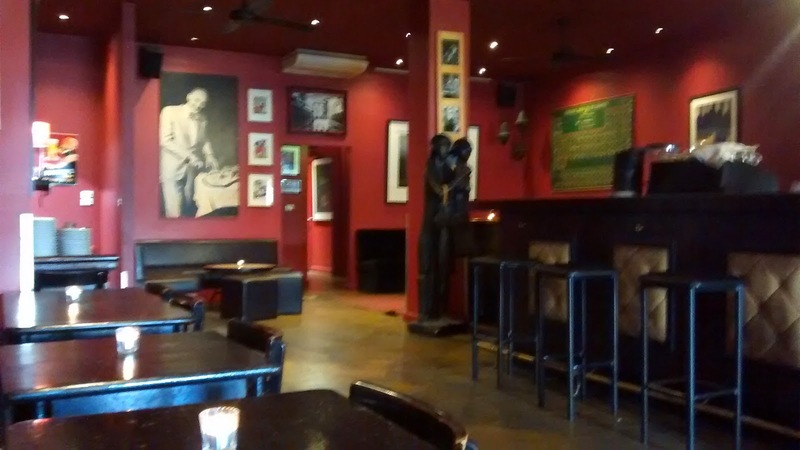 We were off to a gig at the Palais in St Kilda and decided to have dinner at Barney Allen's, which is on the slightly quieter northern side of Fitzroy Street. 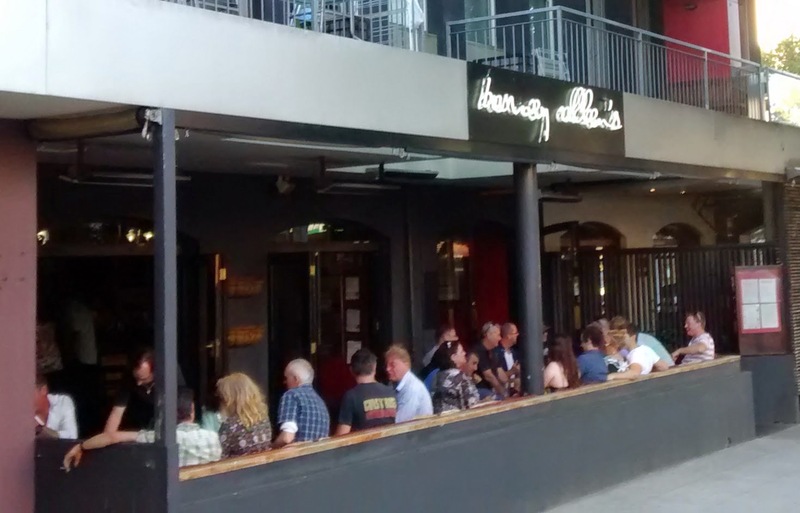 It is owned by Iain 'Huey' Hewitson, his former wife, Ruth Allen and her brother, Barney Allen who were all formerly involved in the Tolarno Bar and Bistro just up the road. The front section which opens into the bar area was busy when we arrived around 6:30 on a Friday evening. 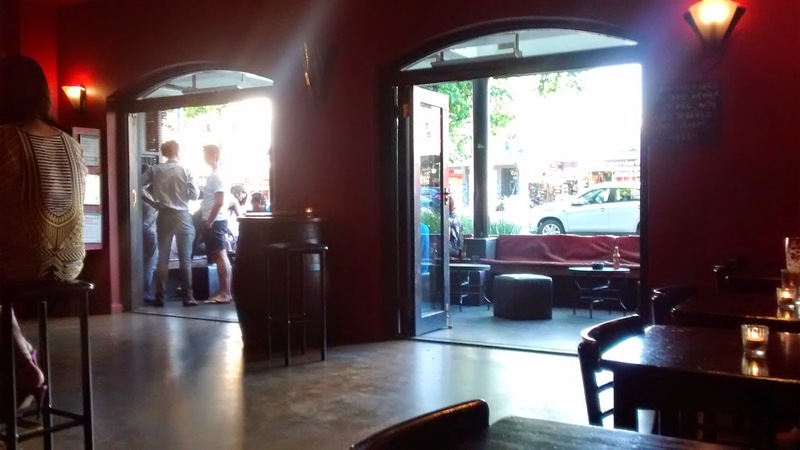 A large central bar dominates the main room, which has a fairly laid back modern fit out, with maroon walls and ceiling. We grabbed one of the tables which run along the wall. We were quickly provided with menus and then offered drinks by our friendly waitress. 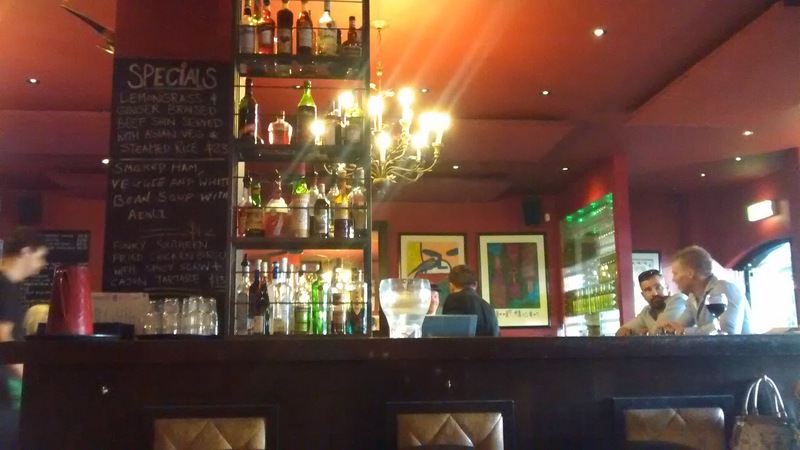 The menu isn't huge, with burgers and a few other pub classics as well as some more interesting alternatives, with a range of large and mid-sized dishes. The Panko and Parmesan crumbed fresh salmon fillet came on a salad of green peas, feta, mint and shredded cos with an anchovy dressing. It was one of the medium sized dishes, but still a decent meal. 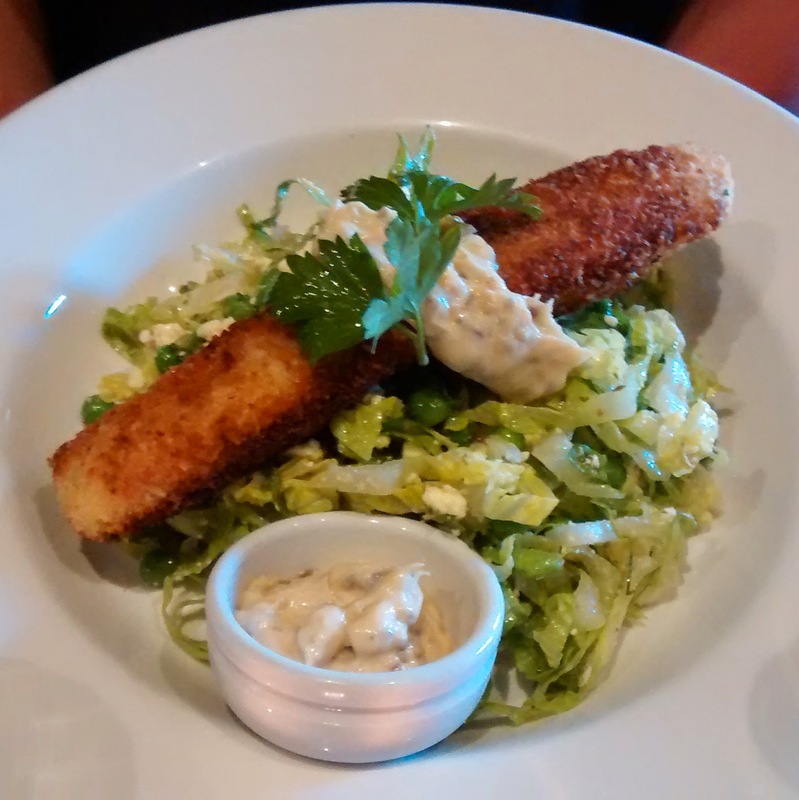 The crunchy coating tempered the salmon flavours and the salad combination hit the spot. The better half asked for extra dressing as she is a big fan of the little salty fish, she got her wish and still managed to nearly finish it, despite the punch it packed! 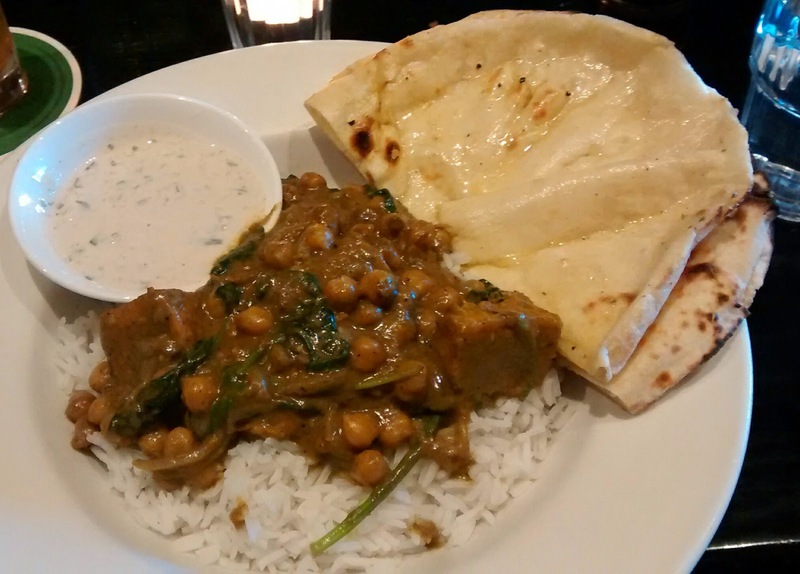 I went for the chickpea, sweet potato and spinach curry which came with raita, naan bread and rice. The curry nicely flavoured without being super spicy and combination of ingredients worked well. The naan was one of the better ones I've had outside an Indian restaurant. With a few drinks the bill came to $55, which is pretty reasonable given the location. The relaxed and friendly atmosphere and quality of the food means we'd be happy to head back when we are over that side of town again.